Want it by Saturday 27th April? Order within 23 hours and choose Royal Mail Tracked 24 Hour at checkout. These loose fitting Printed Pants by Sandwich are soft, airy and comfortable and don't compromise on style. 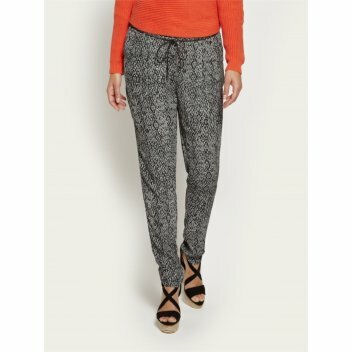 The Printed Pants by Sandwich feature an elasticated waist band with an adjustable cord so that the fit can be altered. These lovely full length pants are a great addition to your summer wardrobe.